Today, we present the world's Top 10 producing Gold Mines. Compiling them was not easy because there are a few ways they can be ranked. A top 10 list can by compiled by annual production, or by the size of proven and probable reserves, or more generally by their measured, indicated & inferred resources (which include reserves). We ultimately decided to rank them based on the overall size of gold resources to give the viewer a truer sense of the deposits size and potential. Please enjoy our Top 10 List as we begin with the smallest and work our way to Number #1. In the #10 spot is Obuasi, owned by major gold producer AngloGold Ashanti. 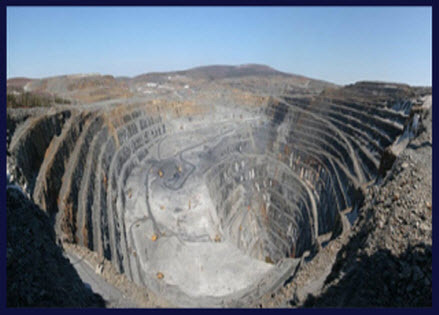 It is primarily a high-grade underground mine with periodic open-pit operations during its long history. It is located in the Ashanti region of southwest Ghana in western Africa; a prolific gold producing region for centuries. The underground operation extends to a depth of 1,500 meters or 4,900 feet (almost a mile). Mining began at Obuasi more than 110 years ago, in 1897 when it was originally known as the Ashanti Mine. In the #9 spot is Cadia East, owned by Australian major Newcrest. 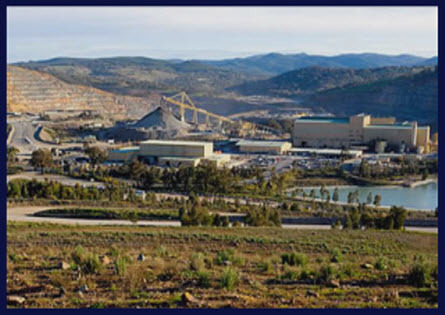 The large underground mining operation is part of a trio of gold mines, in close proximity to one another, known collectively as Newcrest's Cadia Valley Operations, roughly 250 kilometers west of Sydney. The other two mines are Cadia Hill and Ridgeway. Cadia Hill is a large open-pit mine nearing the end of its useful life just as the newly developed Cadia East recently began its expected 30 year mine life. Gold was first discovered in the gold and copper bearing Cadia region in 1851 and Cadia East was discovered in 1994. 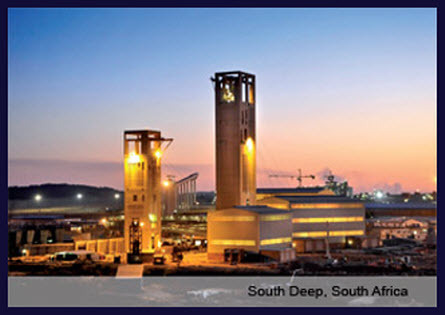 In the #8 spot is Mponeng, owned by South African major AngloGold Ashanti. It is located just 65km west of Johannesburg in one of the world's most prolific mining regions known as the Witwatersrand. 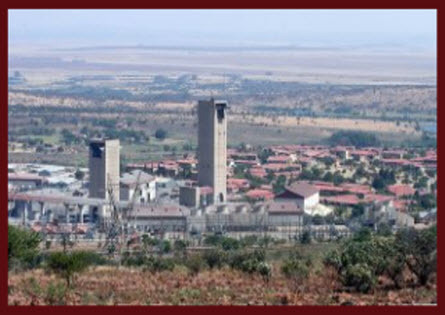 In addition to being one of the largest, Mponeng is also one of the world's deepest underground mines. It extends over 2 miles below the surface and it takes over an hour to reach the bottom. The rocks at this depth reach a temperature of 150 degrees farenheit requiring slurry ice be pumped underground to cool the environment down to a bearable 85 degrees. Coming in at #7 is Pueblo Viejo, owned jointly by majors Barrick (60%) and Goldcorp (40%). This large deposit is located in the Dominican Republic, roughly 100km northwest of the capital of Santo Domingo. It might surprise some that this small island nation is rich in mineral reserves. The open pit mine is very new and began production in January 2013. It also has large silver and copper reserves to complement its gold deposit. As it ramps up to full production, it will also be one of the largest producers in the world, but we'll save production figures for a separate Top 10 List. 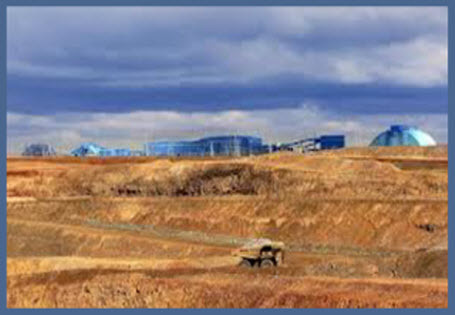 At #6 on our list is Oyu Tolgoi, owned jointly by Rio Tinto (34%), Turquoise Hill (32%) and Mongolia (34%). This is another newly developed mammoth deposit located in the remote southern reaches of Mongolia. 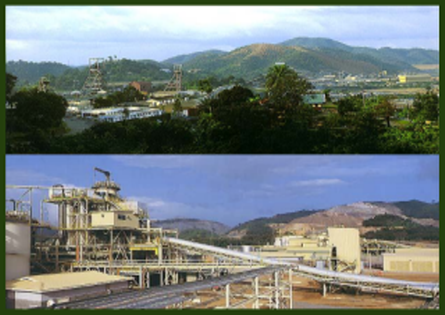 The mine cost the princely sum of US$6.6B to develop and went into production in January 2013. In addition to its 46Moz+ of gold, it also contains over 40 billion pounds of copper worth US$140B. It's really a copper mine masquerading as a gold mine. It will also be one of the largest gold and copper producers on earth as it ramps up to full production. In the #5 spot is Olympiada, owned solely by Russian major Polyus. This large open-pit mine is located in the country's most prolific gold bearing region; the Krasnoyarsk krai in central Siberia. In fact this area is at the heart Russian natural resource production in general. Olympiada was discovered in 1970 and finally went into production in 1996 and despite its age it has plenty of resource life left. Russia is the 4th largest gold producer in the world, and as Russia's biggest producer, Olympiada was responsible for 9% of the total in 2012. At #4, Muruntau is physically the largest open pit gold mine on earth, measuring 3.5km x 2.5km across (2.2mi x 1.6mi) at the surface. This megalith of a mine is currently owned by the Uzbek government. Like its cousins, Oyu Tolgoi and Olympiada, this mine is located on the remote fringes of the Asian steppe. 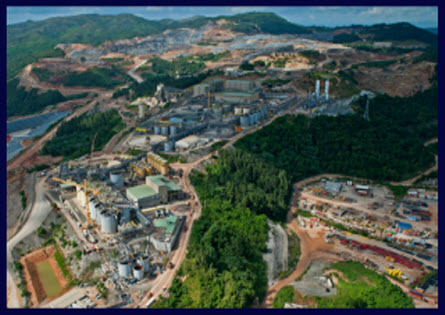 Production began in the late 60's, as modern larger scale production ramped up in the 1990's with Newmont's involvement. Although large, the deposits true size is hard to ascertain due to a less than transparent owner. Now we're entering rarified air. In the #3 spot is Lihir at a whopping 64Moz+. This large tropical open pit mine began production in 1997 and is currently owned by Australian major Newcrest who acquired it in 2010 for a cool US$22B. 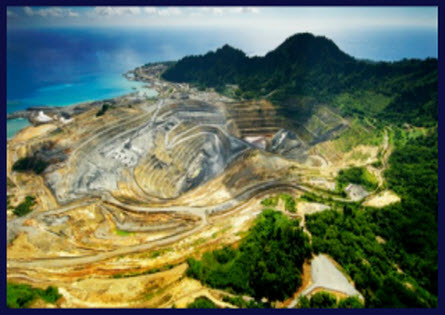 It's another remote mine, located on the small island of Lihir, over 900km (560mi) east of Port Moresby, Papua New Guinea. The pit is actually in the caldera of an extinct volcano that is geothermically active. Retrofitting is currently underway to dramatically increase production, which will likely make it one of the largest gold producers as well. #2 South Deep is also located in the Witwatersrand Basin, very near to 8th place Mponeng. Similarly, it is a high-grade deep underground mine, just southwest of Johannesburg. The mine is in the early stages of ramping up to full production. Mining began at the site in 1961 and Gold Fields bought the operation in 2006. 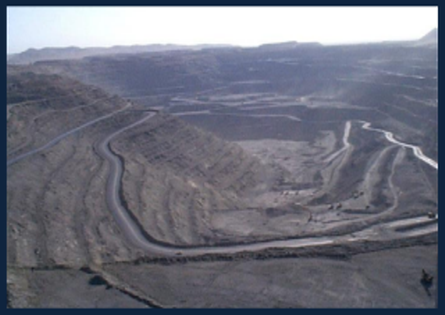 The mine produced 273,000 ounces in 2012 and is expected to produce 770,000 ounces annually by 2015. Amazingly, it is estimated that the mine will maintain this high rate of production until 2057 with mine life lasting until 2080. At #1, Grasberg is the granddaddy of them all containing a whopping 100Moz+ of gold. 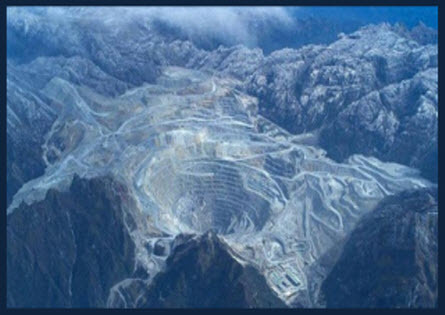 The massive mine is owned by Freeport McMoRan but includes a sizeable sharing agreement with miner Rio Tinto. The site is located in the mountains at an altitude of 4,300 meters or 14,000 feet. In truth, Grasberg produces far more copper, by value, than gold and thus represents one of the world’s largest copper and gold mines. The operations consist of both open pit and underground mines, and have been in operation since the 1980's and the pit forms an enormous mile wide crater. Gold Miners is a unique monthly investment newsletter for self-directed investors; focused on large to mid-cap publicly traded gold mining companies. We invite you to visit our home page for timely gold related news, markets and quotes, as well as our blog page for Weekly Recaps covering significant gold market news and events.